Considering how powerful and hard-edged many Fields Of The Nephilim classics came across live ('Chord Of Souls', Paradise Regained', Phobia'), the jump from said bands 'Elizium' finale to this here disc isn't that far or surprising to me. The atmosphere and mystery is just as present on Zoon as it was/is on anything featuring Carl McCoy. Its just that the hard rock approach has been taken to its logical extreme. Think of this album as Ministry's Psalm 69 meets Slayer meets the previously mentioned 'Elizium'. McCoy's naturally deep, gravelly voice means when sung in his lowest register, he can pull of an almighty growl without having to even try. He can also soar when he wants to. 'Shine' and 'Zoon III' are great examples of the range and diversity he possesses. I find his voice to be a highlight of this album and am a little surprised that other reviewers consider him to be the only real stumbling block. Vocals aside, these songs are also great examples of how much this album is both a step forward to darker, heaver pastures whilst sharing obvious similarities with his past works. The samples found throughout the album create one hell of an ominous feel when combined with the metallic savagery that is 'Xodus' and album highlight 'Venus Decomposing'. Be it keyboards, spoken word or harsh white noise, each element has been carefully placed at a key moment in each song to add an extra dimension and keep the listener on his or her feet. I still find something hidden within the mix every time I give it a listen through headphones. 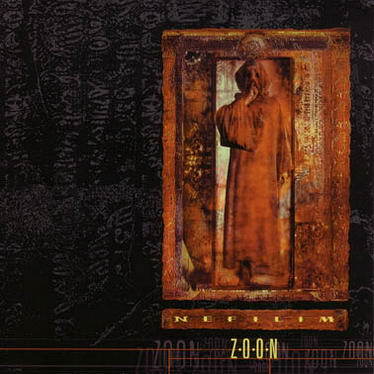 Near perfect production, always mysterious and interesting lyrics and strong performance by everyone involved (Paul Miles, Simon Rippin and Cian Houchin deserve almost as much credit as McCoy) have made Zoon one of my all time favourite albums. This is not an instant classic though. It will take quite a few spins for the brilliance to make itself known, but the end result is well worth your time. After Carl McCoy’s band Fields of the Nephilim broke up in the early 1990s he formed a new band called The Nefilim. With this album Carl McCoy came up with one of his best works at least in my opinion. "Zoon" is quite different from anything that McCoy had done with Fields of the Nephilim who were/are a gothic rock band. In "Zoon" the music style is industrial/gothic metal that has some influences from death metal in it. It was quite a surprise to hear a true metal album from him as I was only familiar with his work with Fields of the Nephilim when I bought this. Anyway the music is truly heavy - and has a cool sinister feeling in it - and varies from more gothic rock/metal stylish songs like "Shine" (which is the closest thing to FotN you will hear on this album) to heavy industrial tinged songs like "Pazuzu" – also the closest song to death metal on this album. The whole album has a very original style that I like. I at least have yet to hear a band that would sound close to The Nefilim. If you mix Nine Inch Nails, Fields of the Nephilim and Slayer together, you might get a somewhat similar sound that this album has. I especially like it how the more extreme metal parts may be followed with a part that reminds me of Fields of the Nephilim. The only thing that I could see as a flaw on this album is actually McCoy’s own voice. Most of the time he sounds great and pretty darn angry, but at some points he sounds a bit forced. Especially at the very start of the track Zoon (part 1) his voice sounds quite forced. It sounds like he would be truly fighting to sing in tune on that part. Otherwise this is a good album that I recommend to fans of industrial metal and gothic metal. It truly is a pity that he never made another album with this band or with this style. The Nefilim, or Nephilim; a race of giants spawned as punishment for the daughters of man laying down with the angels God sent to guard the earth. What kind of music would such creatures make? The pain of being sin incarnate, the anger and bitterness of being the punishment of your parents' sin. The music of the Nefilim is what you might expect. Opening track 'Still Life' comes in like a gargantuan beast, double bass drum thundering as it hammers its chest and roars in anger and angst, unrelenting until its conjoined twin, 'Xodus', seamlessly takes over. Each track on Zoon depends on the previous for its life as we alternately experience thundering drums and guitars then atmospheric film soundtrack; moments of melody and calm amongst the overall temple battering onslaught. This album is clearly singer McCoy's tapestry, interweaving the themes of ancient religion and myth that obsessed Fields of the Nephilim with an industrial / metal sound perhaps more suited to the darkness in his mind. You can find various theories around the net as to what 'Zoon' is actually about. One claim is that it describes a mythical journey into the underworld in the cause of love and that's how this album seems; it's McCoy's tale of lost love set in a nightmare world. The music is fairly brutal at times, but sumptuously mixed and produced (some might say over produced) so that it pounds rather than grates. McCoy's vocals may turn some off – he's no soprano – but those familiar with his singing with the Fields of the Nephilim will have no trouble. His gravelly voice after the engineer's intervention comes out legion rather than solo. This album is an underrated and largely ignored piece of industrial / metal / thrash / goth history and maybe the problem is that it doesn't fit properly in any of these categories. McCoy's original fan base were goths and there's no way they wanted to have anything to do with Heavy Metal, yet the image and machismo of metal and thrash is missing. Like most bands that fall between categories they either create their own movement or they become cult classics. This is the latter, which I think I prefer. This record is a strange creature. While the songwriting, performance and production are top notch the vocals cut away at the overall affect that this project was going for. The musical style is not quite metal, not quite industrial, not quite goth, nor is it simple hard rock. Nefilim craft a weaving world that is both melodic and militant while being a slave to neither musical ideology. Hopefully many others will find this oddball project and bring it into their musical works (maybe a cover with appropriate vocals...please). This may have passed it's day in the sun in an era in which nobody cared...but a few of us still remember and enjoy this music for it's well-crafted tones and interesting turns. As a compositional work "Zoon" is superior both musically and lyrically. Not one song is without a wonderful hook or melody. Despite the somewhat awkward (actually sometimes painful) vocal performance these songs are masterpieces. Smooth clean parts, pleasently distracting keys and metal-slashing riffs mix with good vocal melodies (not good vocals) to create a unique feel unlike much of of what was coming out around this record. A re-recording with a new vocalist would make this nothing short of amazing. This could have been amazing had the vocals worked out correctly...instead this is merely "good" in a difficult and somewhat cheesy manner. I suggest that someone purchases this for the music and guts it through the singing just to experience the intelligence and power contained within.